Couldn't get it loaded to you in a PM, Reid, everybody has to suffer I guess. Can't afford a real one. Last edited by OD*; March 27th, 2019 at 10:41 PM. OldChap, PhaedrusIV, Mike1956 and 22 others like this. Great gun. 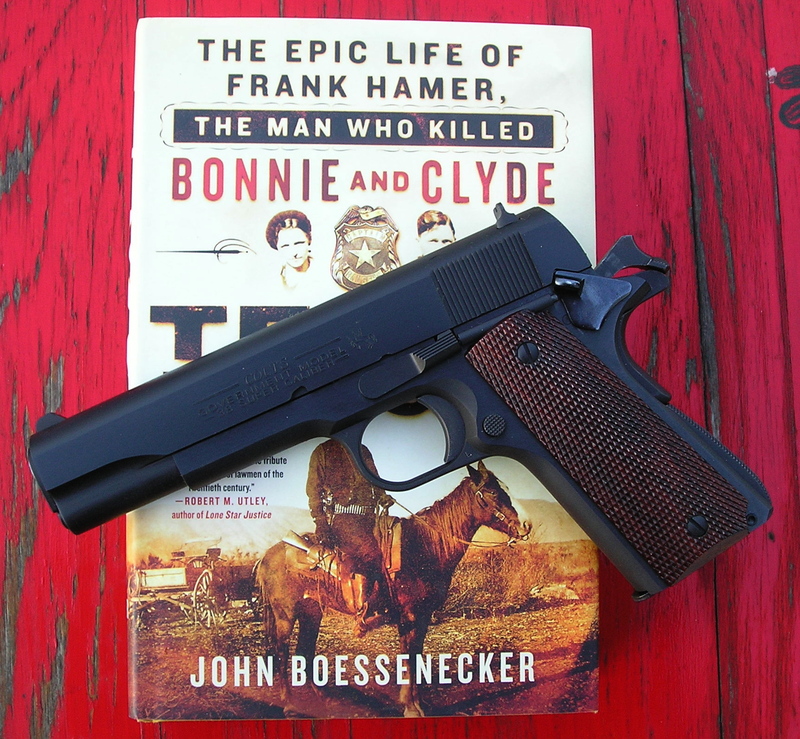 When my father passed away, I inherited his guns. 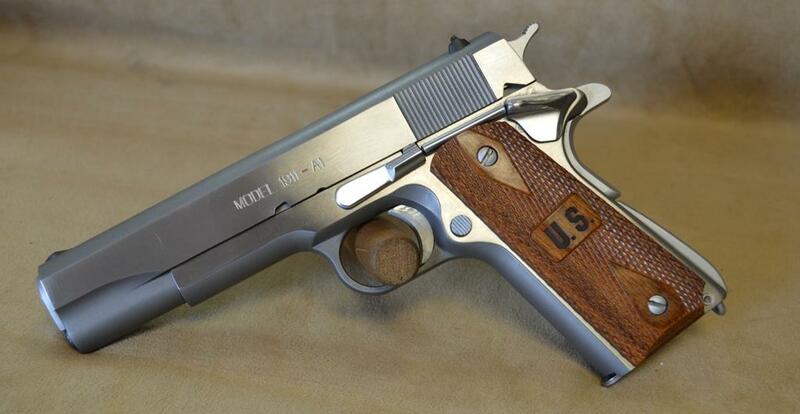 He loved this Springfield GI 1911-A1. 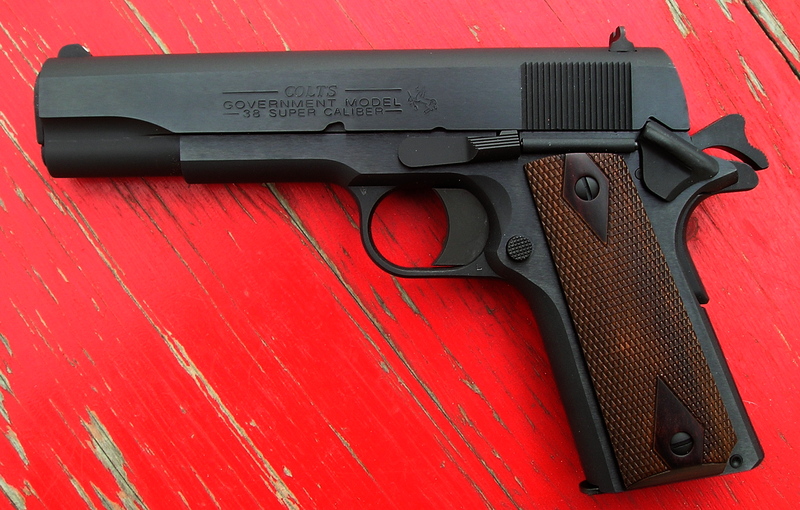 Despite being stainless steel so not an exact copy, the GI 1911-A1 is a great pistol. I finished "Go Down Together" and now I am waiting for "The Highwaymen" next week. OD*, PhaedrusIV, Tstone and 8 others like this. That's a nice looking pistola. OldChap, PhaedrusIV, Tstone and 11 others like this. I suffered you right off The List. PhaedrusIV, OD*, Tstone and 5 others like this. Bravo Dan! Bravo and well done, sir! 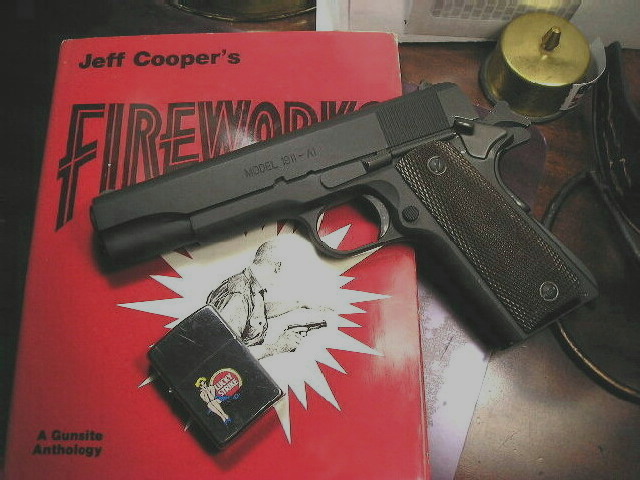 That is one sharp looking Super .38! Evidently you found a shorter trigger for it, which looks great. Looks like you changed out the thumb safety as well. Nice grip panels too. OD*, gatorbait51, Rock and Glock and 2 others like this. How did you kick me off the list when you have told me numerous times I will never make the List? OldVet, JonathanG, SatCong and 9 others like this. I bought a Harrison "extreme service" short trigger, amazingly, it required very little fitting compared to the others I have fit. Also changed the firing pin stop, arch checkered mainspring housing I'd forgotten about, the thumb safety and stocks as you mentioned (originals had plain full checkered walnut) but the rosewood were all the full checkered I had on hand. Tstone, msgt/ret, gatorbait51 and 9 others like this. The little things in life give the greatest pleasure. Like writing and erasing names. OD*, gatorbait51, Rock and Glock and 4 others like this. I bought a Harrison "extreme service" short trigger, amazingly, it required very little fitting compared to the other I have fit. Also changed the firing pin stop, arch checkered mainspring housing I'd forgotten about, the thumb safety and stocks as you mentioned (originals had plain full checkered walnut) but the rosewood were all the full checkered I had on hand. Did it come with one or two magazines? OD*, msgt/ret, gatorbait51 and 2 others like this. Yes sir, rosewood is pretty. Just one magazine, I called Colt Customer Service and was on hold off and on for an hour. I was really ticked by then and just started punching numbers hoping to get someones extension, I did, Human Resources! Of course it was a recording, I left her an ear full and a number, we'll see if she has the guts to call back. Tstone, msgt/ret, gatorbait51 and 8 others like this. OD*, gatorbait51, Rock and Glock and 3 others like this. You make Theodore Robert Bundy, seem like a nice guy. Tstone, msgt/ret, gatorbait51 and 7 others like this. That's what everyone thought, that he was a nice guy. OD*, Tstone, gatorbait51 and 3 others like this. OD*, Tstone, gatorbait51 and 5 others like this. You mean, if they knew you first? Tstone, gatorbait51, Rock and Glock and 3 others like this.